CHANDLER INVESTMENTS | Please call 901.866.3939 for an appointment M-F 9:00 am-5:00 pm. Please call 901.866.3939 for an appointment M-F 9:00 am-5:00 pm. 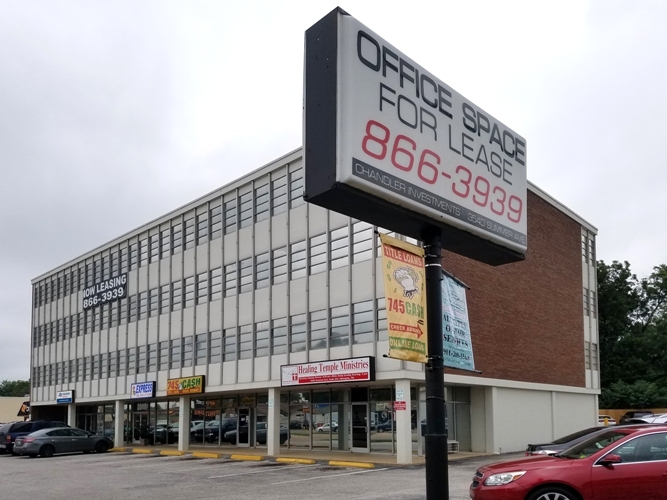 We have a four story office building at 3540 Summer Ave., east of Highland that offers a wide range of office spaces starting at $350 and up. The building is not what you would expect at Summer and Highland and has been renovated to meet the needs of the tenants. All utilities, taxes, maintenance, janitorial services and wireless internet are included with your rent.